Happy Wednesday, friends! I am so excited for the first "Women I Admire" post of 2014 because it features a friend of mine! 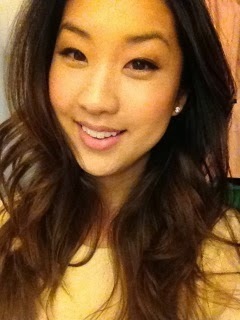 Today I am introducing you to Linette Kim. I've known Linette since middle school, but she now lives in New York in the beauty industry. I'm so grateful to be able to keep in touch through Facebook! :) Linette work for the Luxe Division of L’Oreal (the Luxury Product Division which includes Lancome, Kiehl’s, YSL, Armani, etc.) and is one of the sweetest, most kind people you could meet. Glitter and Gloss: What did you study in college? Linette Kim: I studied Psychology and Sociology at UCLA. Did you always know that you wanted to work in the cosmetics industry? LK: I always thought I would be working with children and I did for a few years after college. After some time, my affinity for fashion and beauty consumed me so I began the transition. I never thought I would make a career out of it! G&G: What is your specific job within L'Oreal? Do you work 100% for Em, or are there other L'Oreal companies you work with? LK: I work for the Luxe Division of L'Oreal, and currently work on em Michelle Phan - a new makeup brand in the L'Oreal Luxe portfolio. My role is Assistant Manager in Global Marketing. I also assist our VP of Product Development. It's a 'start-up' style brand so we each wear a lot of hats at em - from creating seasonal beauty looks and shade names, to developing the marketing strategy behind new product launches. It's a lot of work, but it's so fun to be at the heart of it all! G&G: Knowing that you're good friends with Michelle Phan, how did you feel when she was approached to start her own cosmetics company? LK: I was thrilled when Michelle announced her new venture with L’Oreal. It was a huge step for a digital innovator like herself. She truly deserves the opportunity because she always has the best intentions for her YouTube community. The line is literally a reflection of the needs of her fans, and to me, it's so exciting to see such a refreshing approach to beauty. G&G: What advice would you give to someone who wants to work in the cosmetics industry? LK: Figure out what kind of role best suits your skills (do you like creating looks, have ideas for new products, or love the marketing aspect of cosmetics?) and get an internship with a beauty company early on. There are so many facets to this industry so you just have to understand what kind of career path you want to take! G&G: ((Linette very recently got married in Hawaii!)) What was your makeup look on your wedding day? 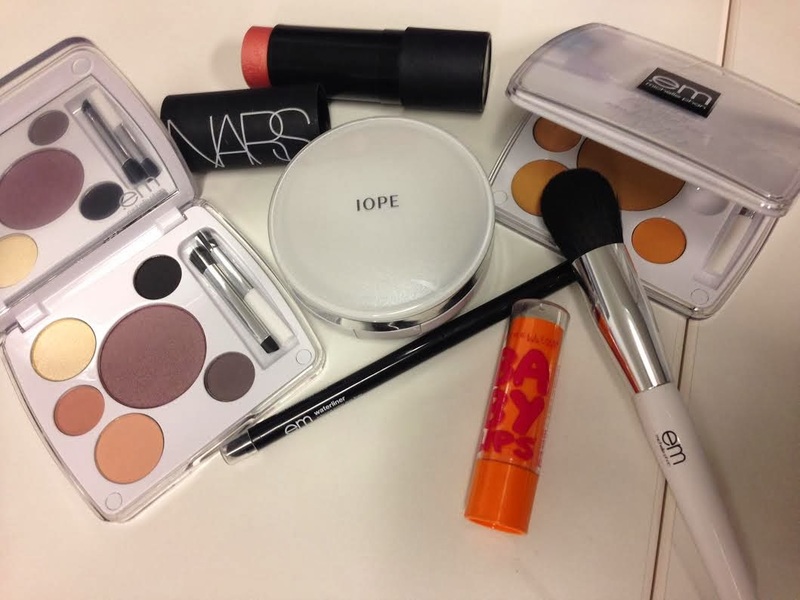 G&G: What's in YOUR makeup bag? G&G: And, finally - what is ONE product you absolutely cannot live without? LK: I can’t go a day without concealer! Thank you, Linette! I recently tried out Em Cosmetics for the first time and am absolutely hooked! The quality, colors and textures of the products are outstanding! The "makeup mood enhancer" (in Pink Flush) has been added to my everyday routine, and people are noticing. I've been complimented on my "glow" so much lately!